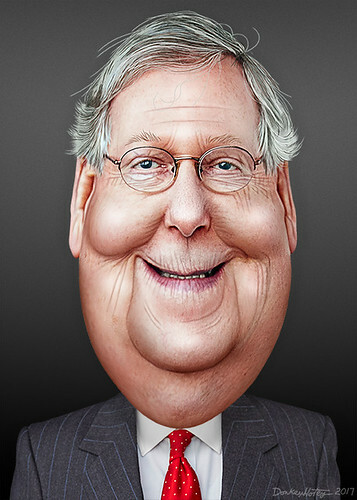 Addison Mitchell McConnell Jr., aka Mitch McConnell, is the senior Senator from Kentucky. He is the Republican Majority Leader. This caricature of Mitch McConnell was adapted from a photo in the public domain from the US Senate.